Sorry, you can only order up to 30 units of this product! Enhance the look or your garden or backyard while adding the ideal growing solution with this greenhouse from Outsunny. Designed to enable growth for most type of fruits and vegs and a popular choice for growing tomatoes. 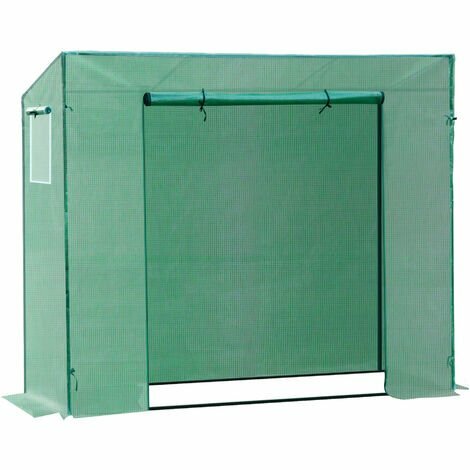 The greenhouse also features a weather and UV resistant top cover, a roll up zip panel and windows for added ventilation. Powder coated steel frame and four ground stakes offer added stability to the greenhouse.
? Easy to set up and portable. Ideal for garden or backyard.
? This greenhouse in your backyard can help extend your growing season.